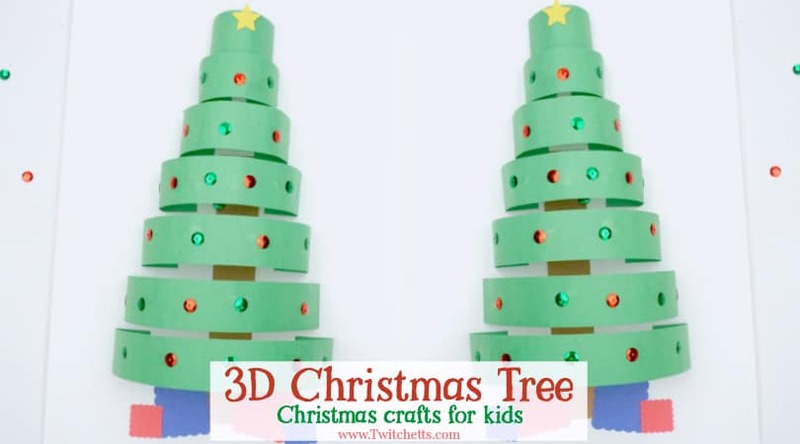 Young kids will love making these painted Christmas trees. 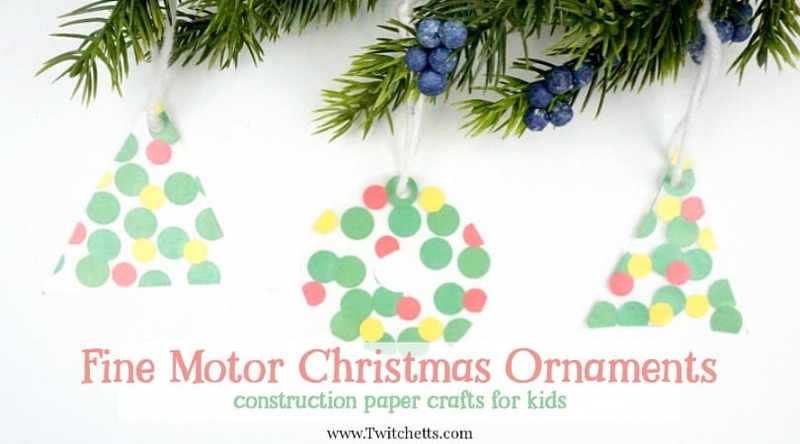 With a simple template, your kids can create fun and colorful pieces of Christmas art. I love unpacking all of our homemade ornaments and handmade Christmas cards every year. 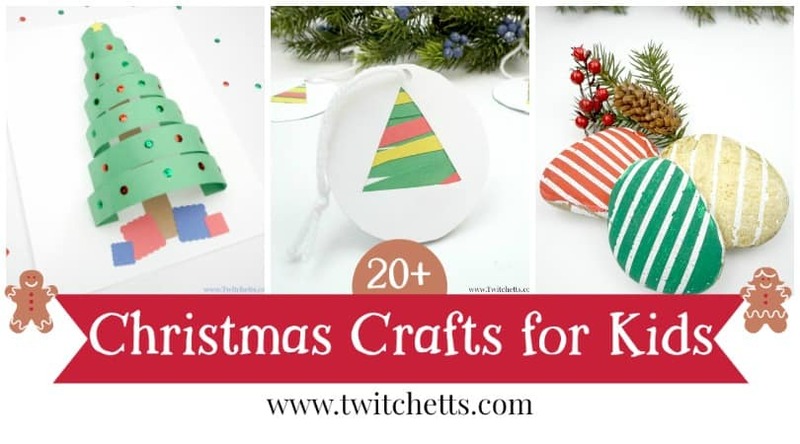 I get so nostalgic looking through past Christmas crafts because it helps me remember those little moments we shared. 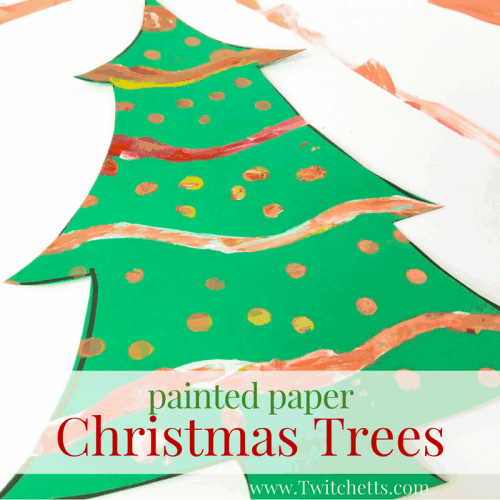 You will love making these painted paper trees with your little ones… just don’t forget to date the back! 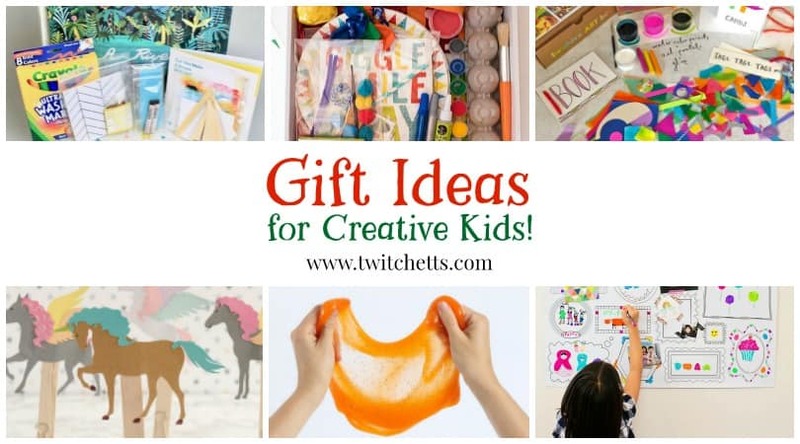 This Christmas craft idea is something easy that you can set up quickly for your kiddo(s) on a cold afternoon. 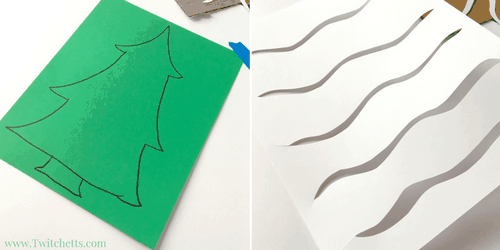 We like to keep our Christmas art simple and these paper Christmas trees are fun for kids of all ages! 1 piece of Green Cardstock. 1 piece of White Cardstock. A Hole Punch. Any shape or size you like. 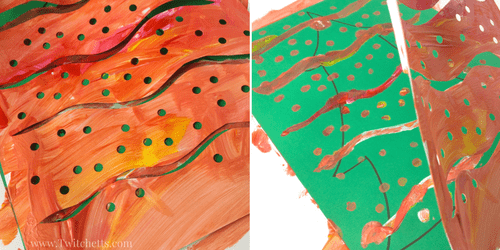 Painting with young kids make you nervous? Check out our tips here. 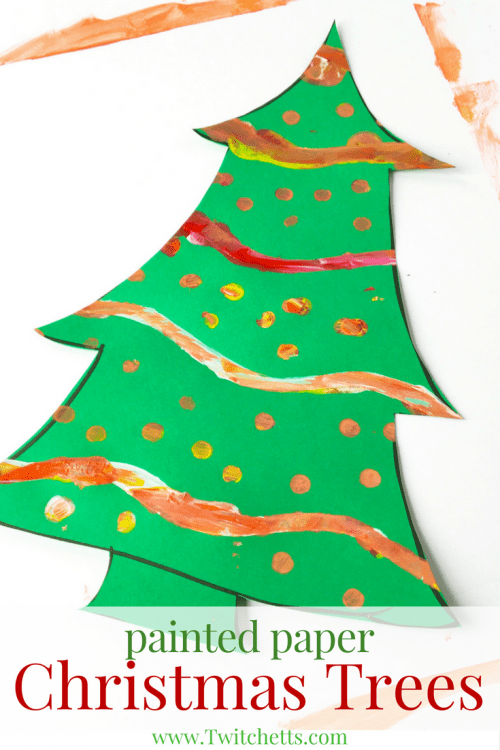 Here is the step by step instructions for creating this painted Christmas tree art. 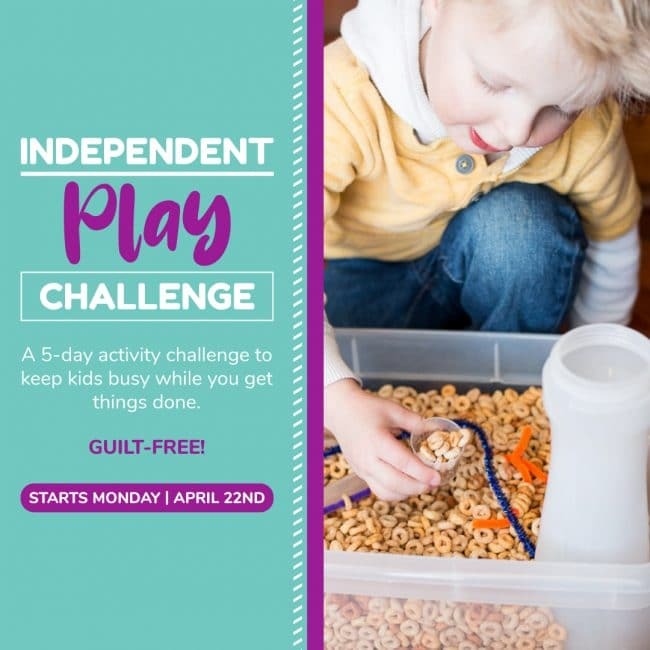 You can also watch the quick video below! 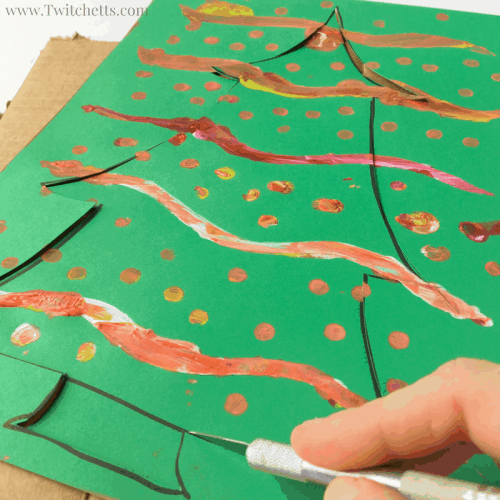 Start by drawing a large tree shape on the green paper. 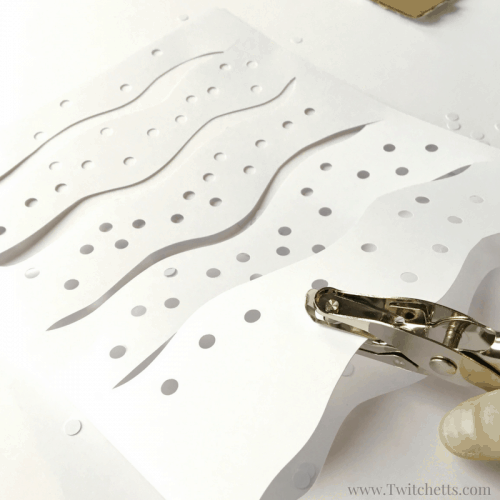 Using an X-Acto knife, cut out wavy lines on the white piece of paper. 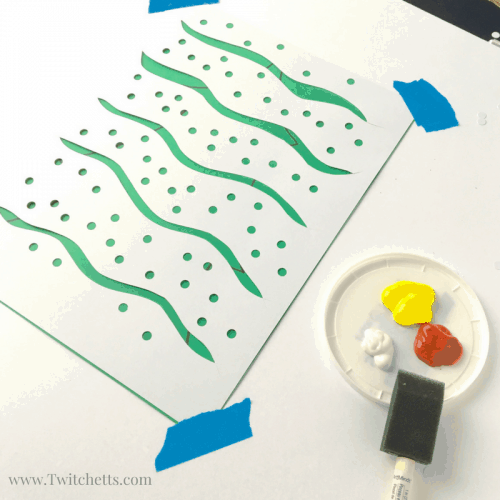 Punch holes up and down each side of all of your wavy lines. Next, tape your green sheet of paper down to the work surface. Then tape your white paper flush on top. 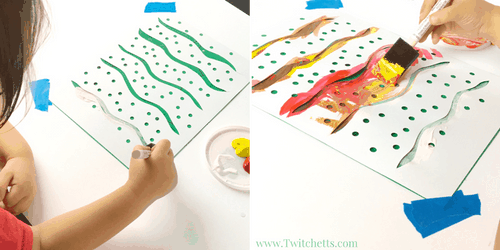 Grab your kiddo and some paint and let them go at it! V covered the entire piece of white paper!! Once they are done remove the white sheet. Check out this quick video to see the project from start to finish in under 2 minutes! Don’t forget to add the date the back of your painted Christmas trees!